It’s the time of year when everyone wants to make improvements to their homes. Entertaining, such as adding a deck or outdoor kitchen; “in-law” suites; modernizations to indoor kitchens and baths; or whole house remodels for new home purchases are always popular this time of year. Here are 12 questions you should ask your home remodeling firm before signing a contract. Experienced companies have created processes, controls, and expertise to ensure their work is on time, on budget and of the highest quality. You want to hire a firm that has been in business for many years, even decades, and has a long record of enthusiastic clients. Ideally, they work in your jurisdiction frequently, as knowledge of local codes and requirements save time and money. 2. How many projects like mine have you recently completed? When hiring any specialized consultant, you need an understanding of how many whole house remodeling projects or kitchen modernizations, for example, a firm recently has completed before working on your project. In design and construction, relevant experience matters! 3. Are you fully licensed and insured? Cities, states and sometimes even counties have varying requirements on licensing credentials. As a homeowner, you want to make sure whoever you hire has gone through all of the necessary channels to obtain any required certifications specific to their field of expertise. Contractors also should have both workers’ compensation and liability insurance specifically for the type of job they perform at your home. 4. What is the projected timeline for my home remodeling project? How is the project schedule communicated? Are there any other projects you’re working on that could affect my schedule? How will changes to our timeline be addressed? While unexpected issues might arise as walls are removed or structures are added, an experienced firm should be able to give you a projected date for completion of the project. 5. 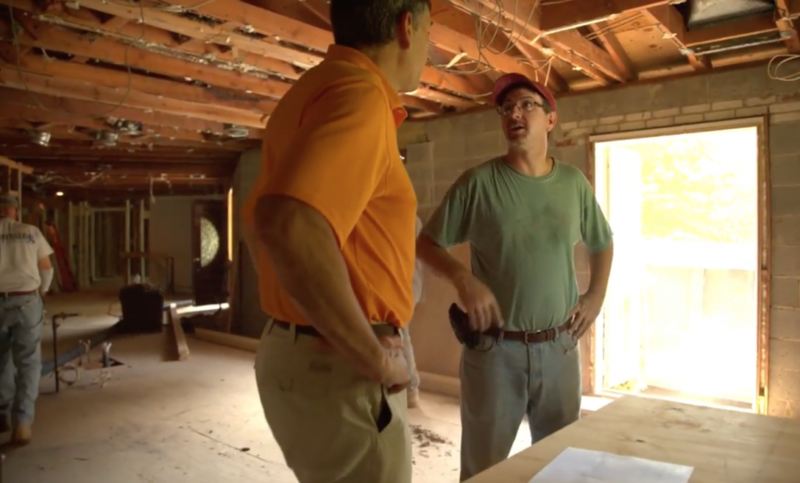 Do you have ideas for my home remodeling project I may not have considered? Experienced design/build professionals bring more to the table than just executing your direction. They may have ideas for approaching a problem more creatively or cost-effectively. We often find that projects increase in scale as discussions take place about what other opportunities are available to get better use out of existing spaces or for expanding rooms. 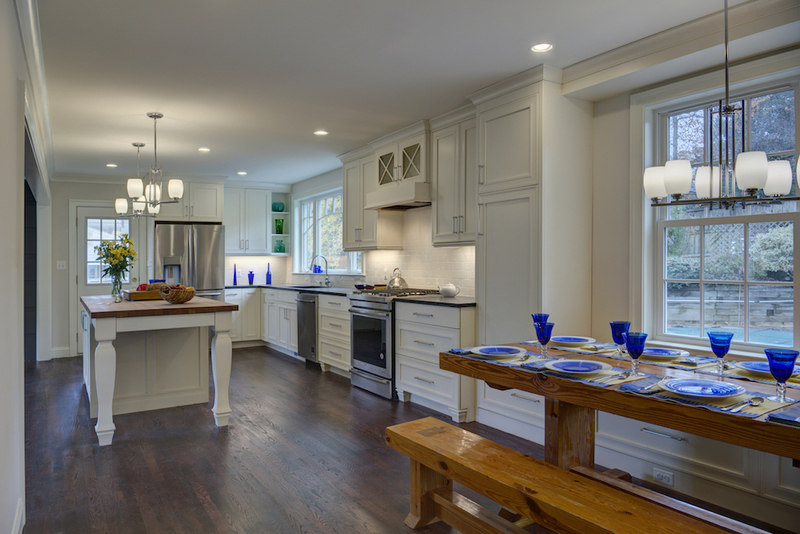 Once our clients see the possibilities, the “wow” factor leads to additional renovation work throughout their homes. These may be phased projects over time or included in the existing project if time/budget permits. 6. How do you handle change orders? As previously mentioned, home remodeling projects can be unpredictable at times. Once a project is underway, it’s possible circumstances arise that increase the estimated price and scope that originally was discussed. Make sure that your firm has a written system for documenting change orders, where the change in scope of work and price are noted and signed by you and your firm. It’s important to discuss payment terms before signing a contract, and to be aware of exactly how much is due, and when, perhaps by specific dates, or based on completed stages of the project. 8. Who will be here every day and how will you communicate with me? Who will be assigned to the project? Are they employees or subcontractors? These are questions that are often covered during the interview process. You need to know who to contact should you discover things are not going as planned. You also need to know someone on site is tracking the progress of your project at all times. A project journal is maintained daily to communicate relevant, real-time information. This communication tool does more than just keep you informed; it proactively preserves the project schedule and design integrity and most importantly, manages the unexpected. 9. What is the working day like? What are the beginning and end times for construction days? Do you need me to be home to make decisions at any point during the day? Which bathrooms, if any, are available for use? Who, if anyone, will be home and when during construction (including pets)? What is the end of day clean-up process and where are items being disposed? 10. How will you protect my property? There are a number of dust and debris containment measures that can be taken throughout a construction project. Talking about them in advance will provide you with a clear understanding of how the construction area will be sectioned off from the rest of your home and how you’ll be able to move through your house on a daily basis. This includes anything hung on walls or sitting on shelves in adjacent rooms since they can shake loose from hammering and drilling. 11. What is the project close-out process? 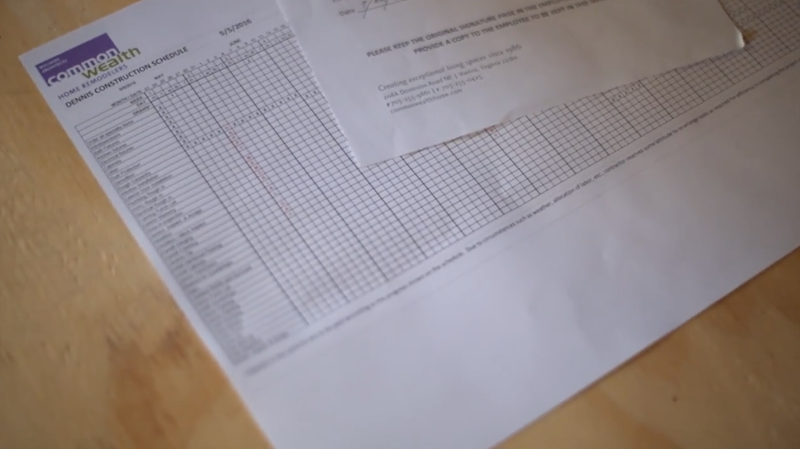 “End of project” paperwork typically includes a “walk-through” and “punch-out”, copies of permits and inspection reports, and appliance manuals, warranties, and care information. There may be additional items you’ll find valuable, such as a set of mechanical photos before insulation is installed, the operating manuals for installed equipment or care for things such as countertops and tile. Knowing what you’ll receive before you start, will make sure you have everything you need at the end of the job. 12. What type of warranty do you provide and how long is it covered? Reputable contractors offer warranties on their work for a pre-determined period of time. For example, at the close of your project, Commonwealth will prepare a Warranty Binder including final inspection documentation, a copy of the building permit, a warranty certificate and applicable product warranties. We stand behind our services and provide all clients of the firm a 2-year workmanship warranty. A project goes more smoothly if you have upfront discussions and are able to build rapport with your home remodeling firm before signing a contract. Do your research ahead of time! If you find anything that causes worry, ask about it. Like most trusted professionals, we prefer to have open dialogues before, during and at the close of a project to make sure expectations are met every step of the way! If you’re considering a home remodeling project, let’s talk! 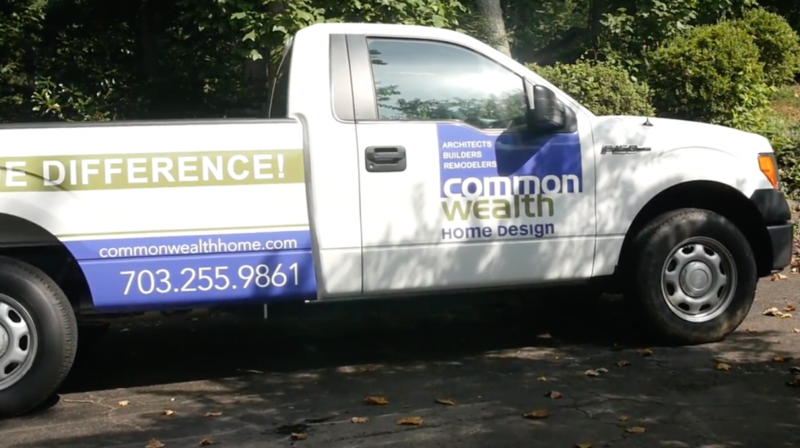 We’re confident Commonwealth Home Design has the expertise and vision to surprise and delight you. See how we turned a 1960s home valued at $650,000 into a modern $1,100,000 home!